My role : Interaction and UI design for new stopwatches range (3 models). Defining keyflow, LCD screens, interactions, user testing based on mockups, check of supplier demoboards. Now in store. 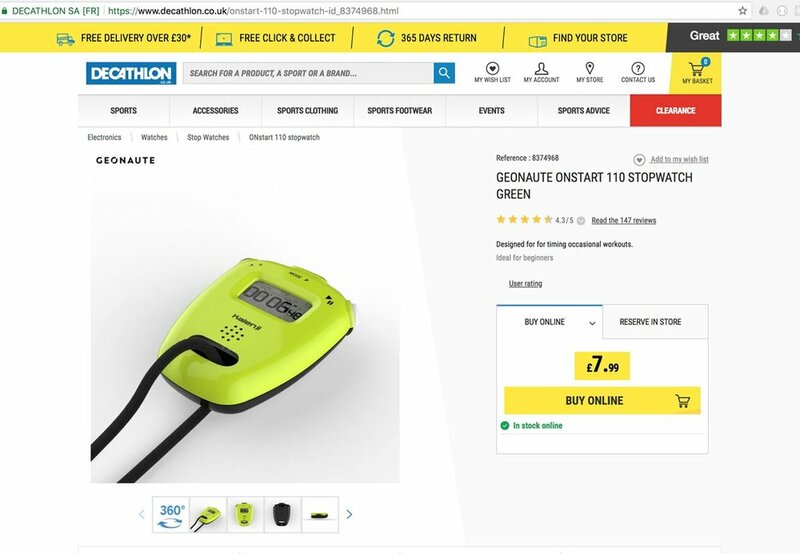 Description : ONstart 110, 310 and 710 are the new Geonaute stopwatches range now available in Decathlon stores. While ONstart 110 is a very basic stopwatch (stopwatch, 1 lap, date and time) at very low price, ONstart 310 and 710 are made for trainers and coachs and have much more functions available (up to 300 laps, split times, training mode, pacer, speed calculation...) and there was a big challenge for making them as easy to use as possible, taking into account context of use and feedbacks from last models users.